The neoclassical building from the last quarter of the 18th century is a museum. It owes its name to its last private owner, Aquilin Arents de Beerteghem.The ground floor is used for temporary exhibition. Arentshuis will be a venue of Triennale Brugge 2015. 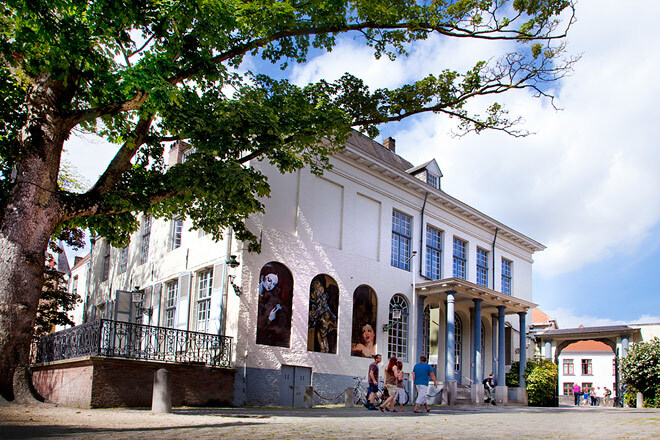 Bruges Triennial of Contemporary Art and Architecture, 20 May - 18 October 2015, Belgium. Curators: Till-Holger Borchert, Michel Dewilde.